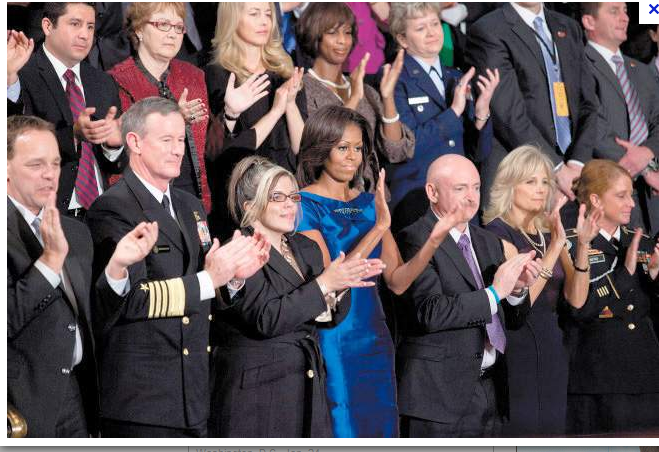 The February 29, 2012 front page of USA Today screamed at the apparent wastefulness and ineffectiveness of US military ‘info ops’ efforts in Afghanistan and Iraq. (Source: http://www.usatoday.com/news/military/story/2012-02-29/afghanistan-iraq-military-information-operations-usa-today-investigation/53295472/1). The article also virtually filled the second page except for an article entitled “Modern US wars influence psychiatric thought” which dealt with the mental state of returning veterans. I’m sure that juxtaposition was unintentional (he said with tongue in cheek). The article puts together a cornucopia of facts and statements to paint a picture of waste and ineptitude. The article’s wrath appears to be directed against the futility of DOD backed ‘giant marketing campaigns’ and the contractors that run them. There are some areas where the article clearly got it wrong. · They try to push readers into making the judgment that because one of the defense contractors on the program (Los Angeles based Leonie Industries) does not appear to have suitable experience and its principals have financial problems – the entire effort is tainted. While facts about Leonie may be right on, the conclusion is not. · Another area where I think the article got it wrong is the choice of military experts. For example, one of the sources for the article is COL (R) Paul Yingling who was apparently an artillery officer with scant IO involvement (see his Bio @ http://www.marshallcenter.org/mcpublicweb/en/component/content/article/747-art-bio-yingling-paul.html?directory=30). · The article did not feature knowledgeable sources from the Military Information Support Operations (MISO) chain of command nor anyone retired from any of the MISO or PSYOP organizations. 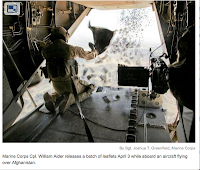 · The article intimates that the information engagement efforts are ineffectual because they failed to stem the recent outrage caused by the burning of Qurans in Afghanistan. To assume that any short time information effort could accomplish this goal is naive and ludicrous. · Another element of the article is that the fact that the US did not blast out the source of many of the products used in the campaign, was, in and of itself, something devious. This statement in particular seems to me to indicate a bias on behalf of the authors against the military and lack of understanding of the principles of information engagement. However, there are some very key points that are raised that should be addressed. For example, the article correctly points out that there is a real dearth of reliable measures of effectiveness (MOE). MOE can be especially difficult to get with fragmented and often illiterate populations. The article should have highlighted that the fact the efforts may be wasteful and disjointed is that the US lacks a cohesive national information engagement strategy. A strategy that not only synergizes the instrumentalities of government and national power but which can be adapted by Ambassadors and Combatant Commanders in their own areas of operations. The article fails to point out the need for consistency across multi-year information engagement efforts that are often less than optimally executed because of a constant change of personnel responsible for them. Having said all of this one of the positive side effects of the article may be to rouse Congress to investigate the nature of what the paper calls ‘info ops’ and discover the challenges currently facing the PSYOP/MISO community on the military side. Some Congressional attention may be all that is needed to push the long simmering proponent debate to swift and decisive conclusion or exploit it into another election year issue without a suitable resolve. Interested readers are urged to let USA Today know their thoughts about the article. 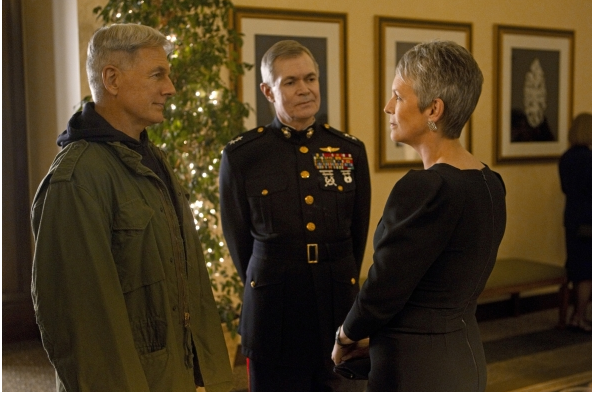 I was camped out in front of the TV last night (21 Feb 12) watching NCIS, one of CBS’ top Dramas when I was quite amazed to find out that there was a “Top Secret PSYCH OPS” unit at the Pentagon headed up by none other than Jamie Lee Curtis. Now for a man in my age bracket the latter was OK, but the former wasn’t quite right. Overall, they got most of it wrong – at least to my knowledge. The Army, not the Navy is the lead MISO element and if f they were looking for psychologists they should have checked out the Air Force which is more into the behavioral aspects of MISO then the Army which is focused on influence operations. The most egregious misconception is that MISO uses drugs and magnetic radiation to induce people to commit suicide. Also in the ‘wrong’ department is that they certainly don’t have leadership that looks anything like Jamie Lee Curtis. Beyond MISO there was a healthy dose of Counter Intelligence (CI) in the form of the lead suspect. Of course the notion of spies catching spies is a well honed tradition and this particular setting to include the DEA struck me as sort of right although this is not my area of expertise. The most accurate part of the episode in my opinion was the revealed by coquettish, yet gothic Abby “Pauley Perrette”. Abby’s data forensics analysis unearthed a systematic scheme of altering of the information presented to the victim through his computer. Fake Google search data, bogus sports scores and other misinformation colored his perception of the world around him. No doubt reinforcing the confused state he was under. Of course I know that NCIS is entertainment, but alas, most people who watch TV don’t. A large chunk of American viewers believe if they see it on TV it must be the truth and it would appear that Congress is part this group. I’ve sometimes posited the theory that Internet notwithstanding, television is the most powerful influence weapon. Cleary a series like NCIS which aired its 200th episode on February 8 is more influential than most. The question becomes how can the MISO/PSYOP Community inform the public and especially Congress about our true missions and high value add to the war fighter? Perhaps this is the opportune time for e-mailing your elected officials to do so. One of the Blog’s loyal readers sent me the link for the CG’s Town Hall meeting of 12 Feb 12 which you can find at: http://www.dvidshub.net/video/137361/fort-bragg-town-hall-meeting#.Tz2kr7QdB8F. First of all I give the Command a lot of credit for making the video available to anyone who can find it. I thought it would be worthwhile for me to watch it and report my observations. The CG spoke for about twenty minutes then he turned the platform over to CSM Dale R. Blosser who spoke for another twenty minutes or so. 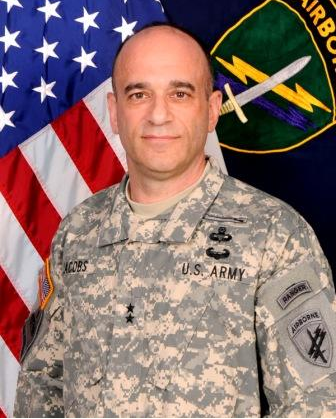 The CSM addressed NCO issues such as leadership, NCOES, knowing your soldiers – all good stuff which I’m not going to comment on. Q&A followed. First, some top level observations. 1. The CG is CA centric. He seems to be much more comfortable talking about CA and its units than MISO. Several comments gave me this impression not the least of which was his comment that the CA proponency was a 25 meter target while MISO was the 50 meter target. 2. When talking about the ‘divorce’ from SOCOM, it seems very clear that the CG felt “we were never SOF”. 3. The CG seems very comfortable with the philosophy that we are conventional forces and support conventional forces. Of course this does not preclude RC personnel supporting SF forces if the need arises and doesn’t address the issues of the normally reinforcing nature of AC and RC MISO forces. 4. The CG seems to feel that it was inappropriate for an SF schoolhouse to be the proponent for ‘conventional forces’. 5. The CG indicated that the proponency decision will be made by the Secretary of the Army and that the CA decision would come first and would, defacto, be the MISO/PSYOP decision as well. 6. The CG is keen on first line leaders taking responsibility for their troops and using tools of the 21st century like Facebook to help them in that task. 7. Training needs to be improved – however, the practical means of accomplishing this in the face of growing tasks such as the Sustained Readiness Program are making this more difficult. This is especially true for collective tasks. The CG picked up on PT and addressed the remote management challenge of getting soldiers fit. The CG urged the use of Facebook and Cell phones by first line leaders to reach out and touch that soldier to make sure they are doing what they need to do. First question to the CG dealt with the IT network. Sounded like an unfortunate gap due to the ‘divorce’ and seemed to confirm the fact that the USARC doesn’t regard CAPOC as a very high priority so CAPOC is expending its own resources to make ‘it’ work. Long term solution is to move on to the USAR network and “we’re working on it”. Second question dealt with the delay in enlisted promotions – E5/E6. If you’re interested, it’s about 40 minutes into the talk. However, it does seem like APFT and Height Weight flags are a problem – so what else is new? Third question asked about HHC soldiers getting on deployment so that they can get promoted. CAPOC is now deploying individual soldiers so this is possible and given the optempo, everyone will be deployed sooner or later. Next question came from the Internet: what about the name change for USACAPOC – of course PSYOP is now MISO so there will be a change when the Army Institute of Heraldry changes the name of the POGs, the CAPOC name will be changed, but not any time soon. Second question from the field – do you foresee the future of CAPAOC as active as in the past decade and do you see the Optempo increasing? CG answered: The CG of USARC and I see increased requirements for support. Involuntary mobilization is possible for unnamed peacetime operations. DOD has increased access to the reserve force. CG sees a continuing high optempo even after we’re out of Afghanistan. He felt the difference is that these mobilization and support missions will be more predictable (He probably felt this was so because we’re supporting conventional forces which are, in theory, ore predicatable.) Count on being mobilized 1 year out of every 5. Do you See CAPOC used to support SF missions? We are not SOF we are not going to support SOF. CG cited the AC CA as the example. There will be a continuing demand for CA and MISO support for conventional forces. We will be supporting Combatant CDR around the world. A deployed soldier asked about the AC MISO force developing a selection process. CG hasn’t heard anything – but I believe that there is work under way by SWC to do so. He then went on about CA. CG felt that ‘we’ shouldn’t be so selective any way because we have a tough time finding soldiers who meet even the Army standard. How can we shift G1 acting as a first line leader back to the field? Key is Company CDR and 1SG. CG: Formations needs to show the accountability with team leaders where they are supposed to be. The sign in document is for pay not accountability. CG felt the biggest promotion leap is from E4 to E5 because you go from follower to leader. Next question was from a CSM in the audience about property accountability. The CG closed by praising the quality of the soldiers and noting that CAPOC has 7% of RC soldiers’ and account for 11% of deployment – we have a high optempo. Conceptually the PSYOP AC forces supports SF while the RC force support the GPF. Does it necessarily follow that the AC will be the only force in Afghanistan and that the RC will be faced with staffing remote bases around the globe? As they said in Porgy & Bess “It Ain’t Necessarily So”. Having two classes of PSYOP/MISO soldiers just strikes me as inefficient at best and derelict at worst. We have already seen several, if not many, instances where the PSYOP/MISO force was simply not adequate to deal with all the requirements. We know that today’s 7x24 instantaneous news environment means that MISO will be more important than ever in future operations and we have also seen that it is almost impossible to predict whether the challenge model will be Libya, Haiti, Katrina, Iraq or Afghanistan. This brings us back to the core issues of force development and training. Clearly the future force will continue to be a blend of AC and RC. Given the budget constraints and the political environment, boosting the AC head count will be more difficult than previously thought. It is also abundantly clear that PSYOP/MISO troops will need to be better trained and equipped than previously and they will need more versatile. This means that demanding, realistic training must be provided by a single, accountable Branch Proponent. The need for an optimally trained and prepared force may mean a re-thinking of the training time – school house and field as well as a new paradigm for RC active duty stints. Ultimately we may have to think in terms of ‘semesters’ of active duty rather than days or weeks. As many of my readers know, I grew up in Brooklyn, NY, which at the time was self-proclaimed as “the 4th Largest City in America”. My family apartment was in a New York City Housing Authority “Project” and we lived in a building with 35 other families attached to an identical building and surrounded by bricks and concrete. The only time we wrote on public property was sketching a game on the sidewalk. 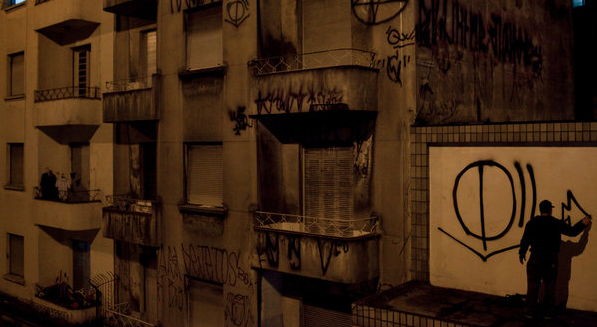 The New York Times article “At War With São Paulo’s Establishment, Black Paint in Hand“ appeared on January 28, 2012 (http://www.nytimes.com/2012/01/29/world/americas/at-war-with-sao-paulos-establishment-black-paint-in-hand.html?_r=1&scp=1&sq=graffiti%20brazil&st=cse) and talked about pichação, which is Portugese for covered in tar. The work involves great personal danger to access the best sites and has been studied extensively by scholars of urban culture. This particular communication differs from other forms of graffiti because it’s vertically titled black letters are difficult to understand by those outside the group. The point for PSYOP is that communication is constantly evolving. Concentrating on one form or another can prove to be myopic. For example many of my posts have addressed Cyber Influence. Today’s post is the counterpoint. It may be difficult if not impossible to discern the most credible and efficient means of communicating to the audience until you get on the ground. PSYOPers need to be good observers in the AO and must guard against developing preconceived notions before getting on site. If the decision is made to employ uniquely local means of communication, it is vital to have your messages crafted by credible local people. Of course the caveat is that you will need to have the message vetted by someone who can validate that the message is indeed what the creator purports it to be. This incredibly broad array of communications alternatives is one of the reasons that PSYOP/MISO is the challenging and rewarding field it continues to be.